I would like to encourage children who made their First Holy Communion and others, if they would like to become altar servers, to speak to Deacon Michael after one of the weekend Masses. They will be asked to attended a short training session. The ministry of altar server is open to everyone regardless of age, who has made their First Holy Communion and who feels the calling to serve God through the various liturgies of the Catholic Church. This is not a ministry specifically for children, two of our most regular servers came to the ministry after they had been received into the Church as adults and our oldest server is in his seventies. Others who are now young adults have come up through the ranks. 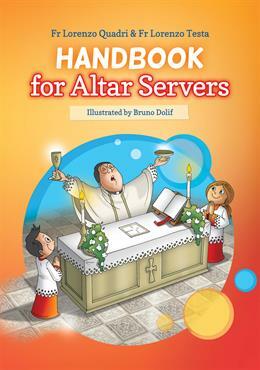 After a initial period of training during which the newcomers become used to being on the sanctuary and to the various tasks that an altar server is asked to carry out - no altar server is asked to do a job until they know what they are doing and are conformable in doing it - and after a period, usually about six months, during which they show commitment by serving regularly by understanding what they are doing and why it is being done in that way, and by growing spiritually, the altar server is enrolled into the Guild of St. Stephen and is presented by his or her medal. Available from the Piety Shop. I offer myself to God Almighty, to blessed Mary our mother, and to our Holy Patron, St. Stephen and I promise to do my best to serve regularly with reverence and understanding, for the glory of God, the service of His Church and my own eternal salvation. O God, you accept our ministry and allow us to serve at your Altar; grant that while serving you we follow the example of our patron, St. Stephen, the first martyr, and that we may, like him come to see Jesus standing at your right hand in the kingdom of heaven. We ask this through Jesus Christ, your Son. Amen. 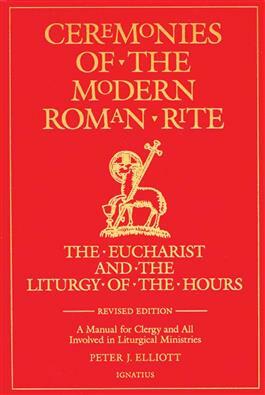 O, God, to whom every heart is open, every desire known and from whom no secrets are hidden; cleanse the thoughts of our hearts by the help of your Holy Spirit, that we may perfectly love you, faithfully serve you, and worthily praise your Holy Name. We ask this through Christ Our Lord. Amen. O Lord, I have many interesting things that I want to do today, but please help me to remember that I am assisting at this Mass. Help me to understand that if I serve with dignity and reverence it will help the people to pray; if I serve poorly it will distract them. Help me to serve well in the name of Jesus, Our Lord. Amen. Father in heaven, free us from all wrong and distracting thoughts; help us to understand what we are about to do, and make us always eager to give of ourselves, that we may worthily come to your Holy Altar. Amen. Lord Jesus Christ, you are the eternal High Priest. You lead all your saints in heaven and your people on earth in praising God, our Father. Thank you, Lord Jesus, for letting me come before you altar, so that, with your help I can praise my Father in heaven as his server. Help me to find joy in serving at your altar. Help me to find gladness in knowing and doing your will in all things. Glory to you, Lord Jesus, and to the Father and to the Holy Spirit, as it was in the beginning, is now, and will be forever. Amen. We give you thanks Lord, for calling us to serve you. Strengthen our loyalty and keep us faithful to you, so that we may enjoy your friendship for ever. Amen. O Lord Jesus Christ, I thank you for the privilege of having served at your Altar. Now, as I leave the church, I ask that I may continue to be aware of your presence. Amen.